Greetings, and Welcome to Foot and Ankle Associates in sunny Lakeland, Florida! Foot or Ankle Pain? We are here to help you enjoy a full and speedy recovery, and to encourage a fit and active lifestyle. Our Mission is to provide comprehensive care of your foot, ankle, and/or leg condition. We strive to treat and educate each patient as a family member; our staff and doctors are highly trained to accurately diagnose and to treat your condition; we provide state-of-the-art technology and training coupled with compassion and good old-fashioned common sense. Our Website is specially designed to provide you with a wealth of resources and educational information pertaining to medical and surgical care of the foot, ankle, and leg. We know how difficult and confusing many health care issues can be and we want to help you navigate the numerous choices and feel confident with your selection of our foot and ankle surgeons. Enjoy browsing our pages, learning more about your condition with educational material, and reviewing our practice policies. Our Practice Foot and Ankle Associates’ practice philosophy since 1961 has - and continues to be - “Leaders of Exceptional Healthcare Services” for your family’s foot and ankle health. Each of our staff and physicians are fully committed to our Lakeland community – we are graduates of Leadership Lakeland and Leadership Polk, and unlike other groups, we provide 100% of our care within Lakeland. We are a group of like-minded, board-certified foot and ankle surgeons who continuously strive for excellence. Our Freestanding Clinic is located in beautiful Lakeland, Florida and includes on-site digital x-rays, electronic “e-prescriptions”, diagnostic ultrasound, physical therapy, a surgical suite for minor procedures, and vascular testing. We recently implemented 100% paperless electronic medical records (EMR), which has further enhanced our patient’s quality of care and has an added benefit of being environmentally-“green”-friendly. Contact Your Lakeland Foot and Ankle Associates Today We invite you to email us through our Contact Us, Request an Appointment form, or call us at 863.687.3404. If you or someone close to you has sustained a foot or ankle injury, then contact Foot and Ankle Associates today to see one of our outstanding physicians. We will use the latest in prevention and treatment options to help you heal completely; getting you back to the activities you enjoy most. If you would like to be informed of new practice information and late-breaking medical news pertaining to the lower extremities, please subscribe to our free newsletter, Web Foot Update. It will be sent to your e-mail address on a periodic basis. Interesting and Informative! We use a variety of social media to keep you updated about new practice information and late-breaking medical news pertaining to the lower extremities, please subscribe to our free services! 1. Newsletter - Monthly, just send us your preferred email address to be included! 2. e-Newsletter - Monthly, just send us your preferred email address to be included! “Like” us on our Facebook page and you are eligible to receive a FREE signed copy at your next appointment! 4. Blog - Dr. Werd’s Fitness Blog is a must for athletes! Would you like to stay up to date on all things Foot and Ankle Associates? Click here to view and subscribe to our blog. 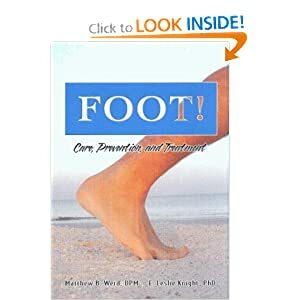 Foot pain, Foot Relief, Foot Shapes and bioimechanics, Foot size tests, Foot gear, Shoes, Insoles, Socks Laces, Foot Types, Foot Care and Prevention, Foot Stretches, Foot Strengthening, Foot balance, Foot Concerns and Foot help. 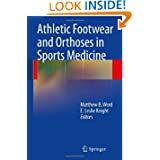 This concise manual is for sports medicine specialists who want to effectively prescribe footwear and orthotics for the athlete. The book provides a logical approach designed to maximize performance and minimize injury.